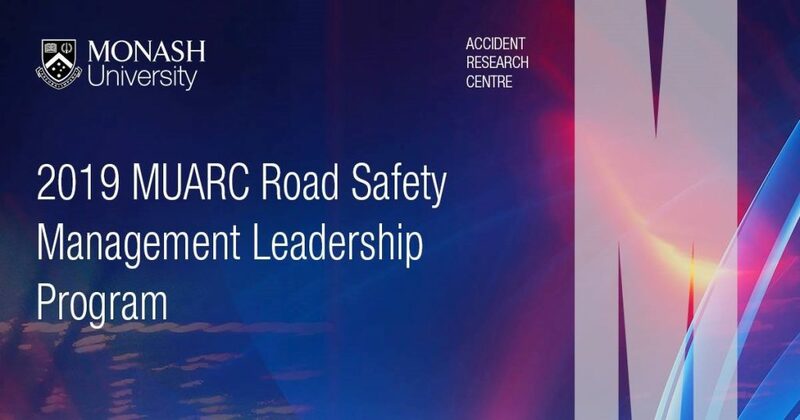 Monash University Accident Research Centre (MUARC) is holding the next installment of its innovative Road Safety Management Leadership Program in June 2019. The program is designed to develop and nurture the leaders tasked with achieving improvements in road safety performance over the coming decades. The program addresses road safety leadership and management challenges faced internationally, including Australasia in responding to the circumstances which apply in high, low and middle-income countries. The course will be facilitated by Mr Eric Howard, Global Road Safety Advisor at MUARC, and delivered by Senior Faculty members of MUARC and partner institutions, together with internationally experienced road safety practitioners. It is an intensive program incorporating formal presentations, interactive case studies, group work and panel discussions, conducted over five days. I would suggest and recommend that anybody in this field at a leadership role should definitely attend. They will take back information that will help them save people’s lives. Click here to register and for more information on the program. Registration closes 7 June, 2019.